Joining a fraternity in college can be a great opportunity, but an opportunity for what? Opinions vary wildly about this, and for good reason. Just think about what a fraternity essentially is: a self-confident group of recent high school graduates, united by their youth, humor, and let’s say common appetites. The risks are obvious, and even thought of their “benefits” conjures up worry and suspicion. So is it worth it? If fraternities are inherently unstable, giving open air to the burning passions of youth, then why have them in the first place? This needs to be answered not only to defend fraternities from critical bystanders, but to help improve fraternities as they are. The main problem fraternities face is that an oversimplified view of friendship squelches their motivation to address difficult issues. Such friendship is often an excuse for allowing excessive and irresponsible behavior to go unchecked. Enforcing even the most basic standards can be obnoxiously depicted as a violation of “friendship.” I personally witnessed in my own chapter years ago what was essentially a friendship faction go to battle with a justice faction, leaving brotherhood itself appearing to be incompatible with collective self-government. This I know is a common cause of fraternity breakdown, from which rarely anyone walks away unscathed. Worse, there is sometimes no such battle at all, and this simpleminded friendship becomes more deeply entrenched, even valorized. Then, once their unbounded fraternal passions are sparked as they inevitably are, they quickly ignite and become enflamed. The fraternity becomes a Dionysian temple for low indulgence and base behavior, until there is nothing left but the smoldering embers of a once proud chapter. The tragedy here is that the energies stimulated by fraternal brotherhood are immensely valuable, with vastly constructive potential. 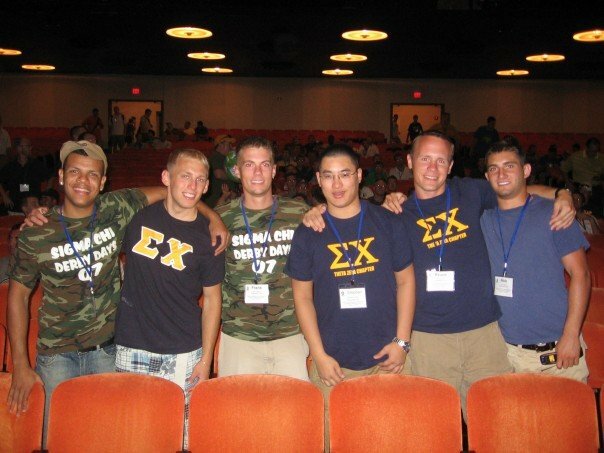 Consequently, fraternities are uniquely able to infuse a great love of life, learning, and engagement into the college experience. Brothers, likewise, also generally exhibit a strong commitment to philanthropy and to community service. What many miss is that fraternities have great value because of their inherent difficulties. Addressing the obvious excesses, and discovering ways to manage, constrain, and elevate these powerful passions and desires, is precisely how character is built and citizens are forged. Furthermore, these youthful passions can be channeled into great, ennobling actions and commitments. Fraternities provide opportunity for college men to push beyond friendship simply, toward the much more difficult goal of building men of character and distinction. Fraternal energies need only be harnessed and directed, primarily in 3 different ways: (1) pro-active alumni mentorship and oversight, (2) a smart and methodical selection and education process for new brothers, and (3) strong institutional norms and expectations for how the chapter should function. Each of these three components requires time and commitment to develop — a break in the continuity thereof, and a fraternity chapter can find itself feeling lost and hopeless. Moreover, the membership is constantly changing as brothers advance in their studies and graduate (or leave school), making continuity only that much harder to maintain. The alumni can help with this, as can university advisors and the general fraternity’s headquarters. But most of all, the brothers of the undergraduate chapter must be committed to being more than friends; they must continuously strive to become leaders of substance and virtue. This necessity, this problem, is the source of the ennobling value of being in a fraternity. There is therefore nothing more counter-productive than taking up the banner of friendship against this fundamental fact. Fraternal friendship, or genuine fraternal brotherhood, is not a bond made simply by youth, humor, or untutored appetite. Instead, it is constituted by the very virtues necessary for its own energies to be appropriately directed — toward the personal growth of each brother, and the chapter’s public honor. Such virtues need to be identified, cultivated, loved, and respected, both abstractly and in the concrete, visible actions of each and every fraternity brother. Bruce, I think that the tension between friendship and justice can also be seen in multiple types of scenarios. For example, actions as a result of peer pressure. We sometimes decide to say or do things as a result of friendship, even when we, by principal, do not agree with it.